We use only LED Par 64 Cans, the industry’s best up-lighting system. Energy efficient, low power consumption, emits no heat and projects an ultra bright “punch”. With this instant glamorous effect, there’s not much else you have to do to your room. They take up almost no space and can be used for events of any size. 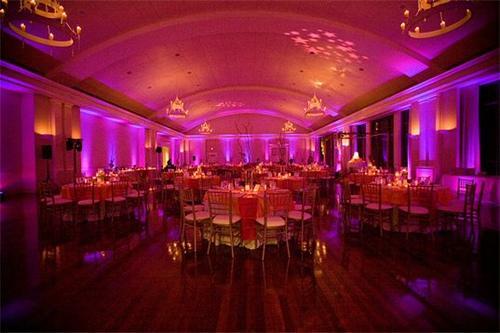 Decor up-lighting will make your photos look so much better.​ Remember, your photos will last a lifetime.